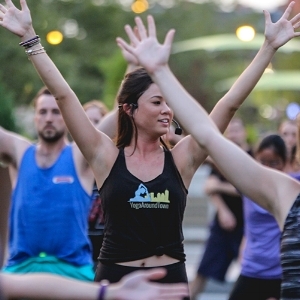 August 24th, come out for Yoga Around Town on the Rose Kennedy Greenway! Our all-levels vinyasa flow will have you moving, breathing and working up a sweat for 60-minutes before we #detoxtoretox at Central Wharf Co! All tickets include $15 sweetgreen voucher, KEEL Vodka cocktail and more! Meet your Yoga Around Town instructor, Maggie Walsh Deaver. Click here to read Maggie's bio.